Is it Time to Replace a Shingle Roof? One of the biggest investments that you can make for any home is a new roof. While it isn't exactly something to look forward to doing it is a service that you should not put off if your home is due for new roofing. When evaluating the condition of your current shingle roof there are a few telltale signs that it may be time for a replacement. If you encounter any of the following be sure to contact a local roofing expert for further analysis and to get a quote for residential roof replacement. If you can see that shingles on your roof are becoming cracked or their ends are curling it is certainly time for a new roof. These conditions will only get worse, which can result in roof leaks and energy loss. Another common sign of tired shingles is balding, which is represented by missing granules. You can often see this issue from afar, as it will look as if your roof has areas of discoloration. 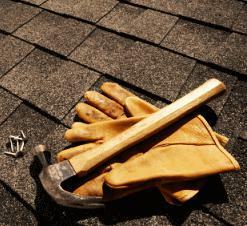 A sign that a new roof needs to be installed soon is if there are lifting or missing shingles. This issue means there could already be existing water leaks in your home's roof, which can cause additional damage to the interior. Moss and dark streaks caused by algae could indicate it is time for new shingles. However, if the roof is still relatively young it may just need a solid wash. Your best bet is to contact a roofing expert for further evaluation. If your shingle roof has reached the end of its lifespan, which is 15 to 20 years for most products, then it is time to schedule an appointment with a local roofer. There are numerous options for roof replacement so you'll want to consult and get an estimate to figure which is best for you and your home. If you believe it is time for a new roof don't put off making the call. Letting an old roof age even more is only going to result in more troubles. To receive an estimate for roof replacement in Los Angeles reach out to Accurate Roofing. Our team of professional commercial and residential roofers would be happy to help determine your roofing needs. Give us a call at (424) 348-7582 to request an estimate for superior roofing in LA or the neighboring communities. Why Choose Accurate Roofing for Expert Roofing in LA?